Many juniors playing in this county compete not only all around England but also travel abroad. Here is a round-up of the results and successes of our county juniors. North of England Junior Open. 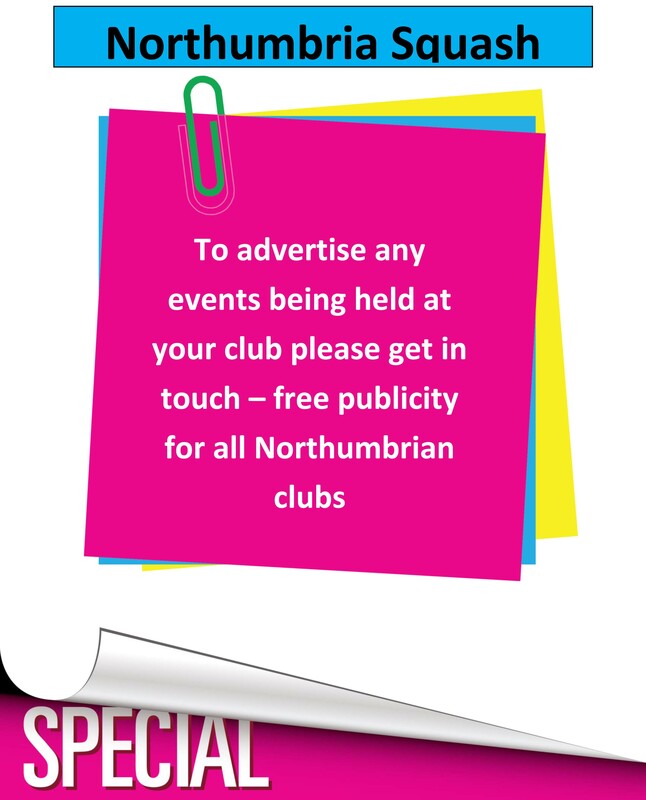 Hosted by the Northumberland club his event was for boys and girls U17 and U13. Boys under 17 had a strong local entry with many county juniors entering. The best placed was David Elsender coming runner-up to Durham’s Josh Harris, Richard Shellam was close behind in 3rd and Alex Storey 6th. Dan ward won the plate after just losing in the first round. Girls U13 draw was dominated by Northumbrians. Sophie Wylde from Alnwick won the event beating number 1 seed in the Final. Lucy Beecroft finished 3rd, Emma Haley 4th and Maria Bainbridge 5th. Boys U13 was won by an impressive junior from Manchester Nicholas Fairhurst but our juniors put in a good performance with James Breakey coming in 5th and Elliott Park 7th. Stephen Twaddle won the plate with club mate Richard Ridgeway runner-up. 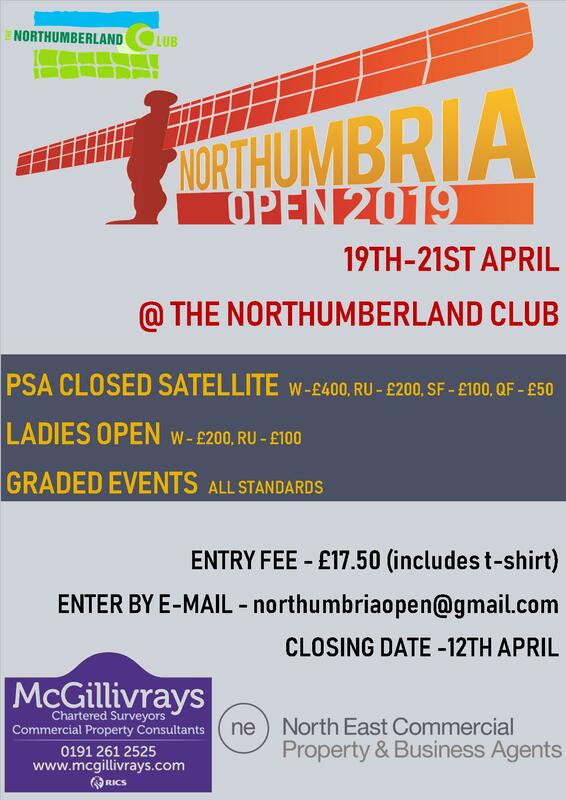 This event is open to players from Northumbria, Durham & Cleveland, Yorkshire and Lincolnshire. The success came with Christian Beck winning the U15 event beating higher ranked players along the way ,winning the final against Yorkshire’s Sam Burton. Anna Oswald won the plate in the girls U17 beating Maria Emmess of Yorkshire. Also playing was Richard Shellam losing out to top seed and eventual winner Chris Rusling in the U17. Millfield was the venue of the nationals this year with all the best players in the country playing. Kim Hay and Richrd Shellam made the long journey to compete. Richard found the going tough losing 1st round then losing in the plate in a very strong draw, he’ll be back to try again next year. Kim however was seeded 3/4 and lived up to her seeding, she lost in the semis to eventual winner Victoria Bell from Cumbria in 3 close games. She ended up a very credable 3rd place. This event was for boys and girls in U19/U15 and U13. It was Kim Hay and Christian Beck who played ,Kim at U19 and Chris at U15. Chris came across number 1 seed first up and lost but eventually finished 18th in the monrad system. Kim made the final of her event losing a close 3-1 to Yorkshires top seed Deon Saffery. It was Kim and Chris again who flew to Dublin last weekend to play. This time Kim played U17 and Chris U15. It was a double success with Christian winning the Plate event 9-7 in the fifth after being 5-1 down. Kim was seeded 2 and after scraping past Claire Gray from Scotland 3-2 in the quarters she never looked back winning the event beating English girl Jane Allman 3-1 in the final. It is great to see our county players competing at this high level ,for players to improve it is necessary to play against the best of other counties and countries.Specail praise should be given to the parents who take their kids and spend what can be a lot of money!